Which test will you take? At some point in their high school careers, students usually consider which standardized test to take. Depending on which part of the United States you live in, one may be more popular than the other, but since they are both accepted by colleges, it is a good idea to take each test at least once to see if you have more of a natural gift with one or the other. 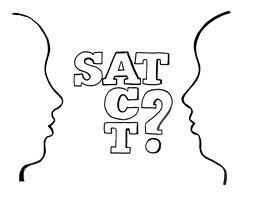 This recent article gives a good overview of the ACT including reasons to take the test. And if you are looking for additional services, the ACT may be worth investigating: "ACT Assessment provides a comprehensive package of educational assessment and career planning services for college-bound students at a modest fee that is lower than the fee for the competing admission test."